Oaty Walnut and Blueberry Protein Muffins! This weekend two of my very best girlfriends coming in to town to visit, hooray! 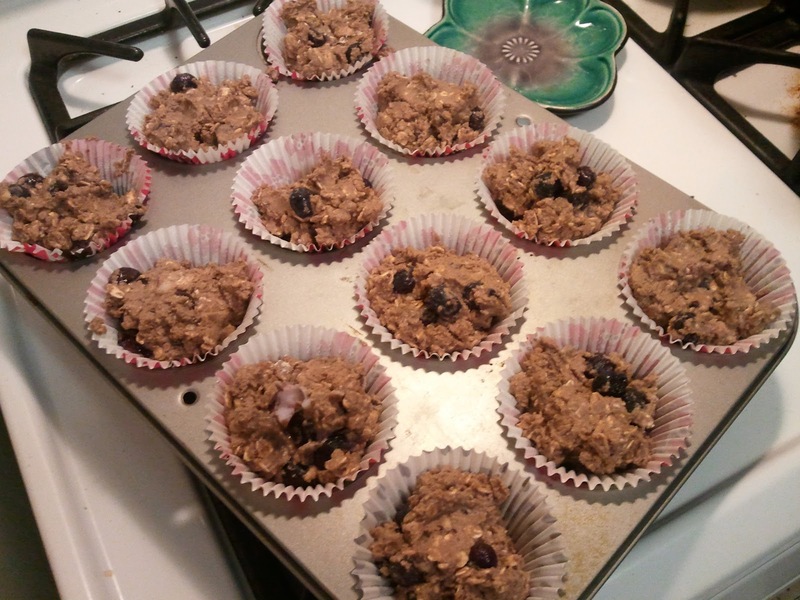 I wanted to make sure I was prepared for the long days that we would be out roaming the city, so I decided I would make a batch of togo proteiny snacks. 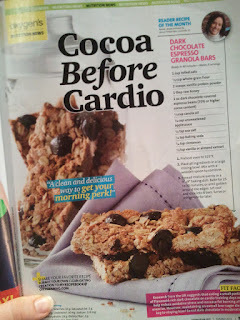 I was going to make the same protein bar recipe that whipped up for my Hawaii trip, until I was inspired by a fun little recipe I found in the new October issue of Oxygen Magazine for a Dark Chocolate Espresso Granola Bar . I didn't make the exact recipe because I had a few ingredients I wanted to cut out and replace, but I did use their recipe as a template. Thanks Oxygen! 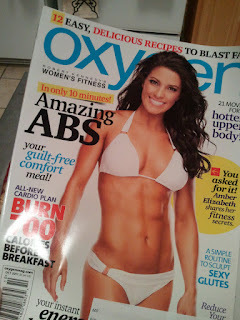 But before I continue with the recipe, can we all agree that Amber Elizabeth on the cover of Octobers issue is looking crazy hot?? I will answer for everyone...YES! 1 tsp cinnamon - add more if you love cinnamon! 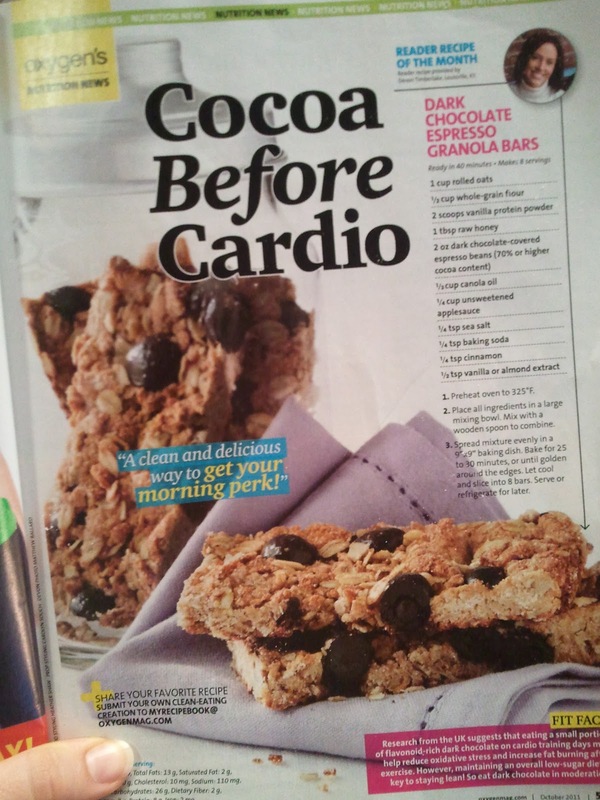 3 packets of stevia - add more if you have a real sweet tooth! Preheat oven to 325°F. Mix all ingredients in a bowl together. 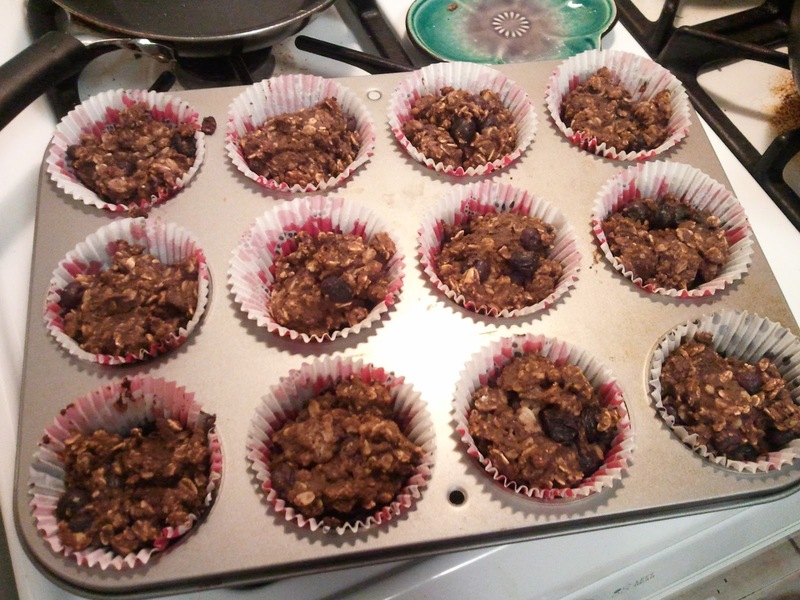 Prepare a 12 cup muffin pan with paper or foil liners. Spoon equal amounts of muffin mix into each liner. Cook muffins for 25-30 minutes. Let them cool enough to handle and remove liners. Once they have all finished cooling completely, place in snack baggies and refrigerate. Bon Appétit!